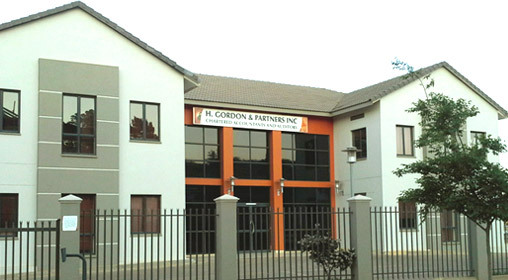 H. Gordon and Partners Incorporated was established in 1963 under the name H. Gordon and Company and provided their services to clients from the Concordia Building situated in Pretoria. The Founder, HS Gordon, had a vision for business and a recipe for success and grew the business at a rapid pace. During December of 2010 the Company settled into its current home in Route 21 Corporate Park and continues to deliver services that are of the highest quality, ethics, morality and efficiency to all its clients and related parties, ensuring a competitive edge in the market. We support a staff compliment of around 50 exceptional employees, many belonging to various Institutions including SAICA, IRBA, SAIPA and SAIT. The staff compliment also includes staff with prior experience and other tertiary qualifications including Banking, Administration, Legal, Finance and Marketing which makes for the perfect balance, resulting in a winning team. Including Corporate Structures and Business advice based on individual needs. We offer on-site training to bookkeepers, one-on-one and one-to-many to optimise your bookkeeping functionality in your orginisation. © 2014 H. Gordon & Partners Inc.